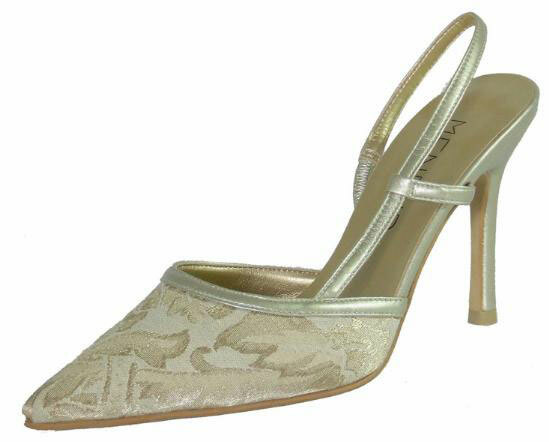 Elegant brocade champagne and gold evening shoes with a 3.5" covered heel & padded insole by Menbur, Spain. Slingback with small elastication. Perfect for a special occasion. The Menbur Champagne Clutch Bag is a great match for these beautiful brocade gold evening shoes. Brocade gold evening shoes are a beautiful finish for any outfit.